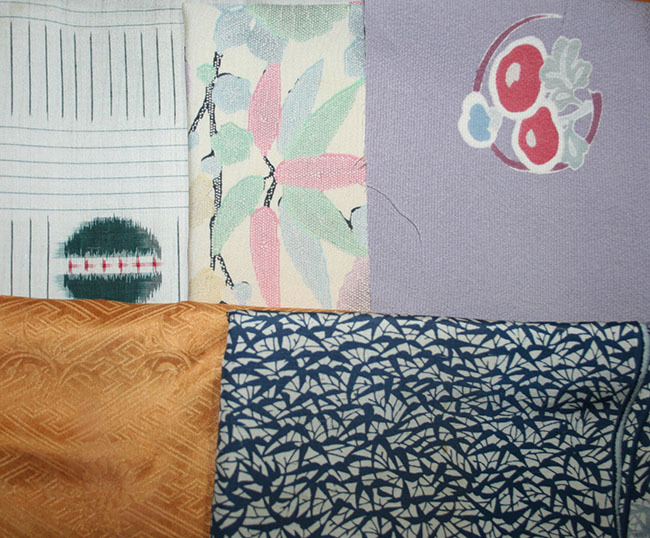 Kimoyes item: 19214 - 5 pieces of vintage kimono silk. 5 pieces of vintage kimono silk. Sizes vary with the smallest piece being no smaller than 12 x 14 inches or equivalent, but with many pieces much bigger. These are very useful packs for patchwork, cushions, bags and other small projects.